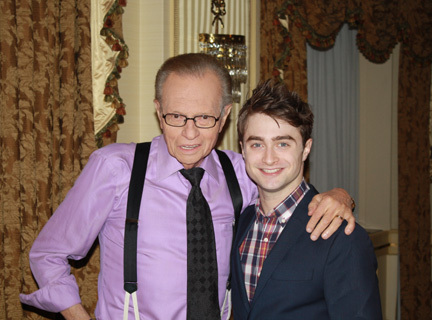 The Harry Potter excitement has been building up for months. Most recently on July 10 there was the world premiere of a CNN Larry King sneak peek special behind the scenes of quite possibly, the biggest release of a movie in this century thus far. According to all the billboards, advertising and web speak about the impending release of Warner Bros epic Harry Potter and the Deathly Hallows - Part II, "It all ends on July 15th." This is when the last movie of the seven picture series is released. Well, I'm going to dare to challenge that statement. I'm a mere mommy blogger with no special magical powers of my own. Just the same, I'm predicting that Harry and all his important friends and foes will live on long after tomorrow. Perhaps have an even longer after-life than Star Trek and Star Wars have. 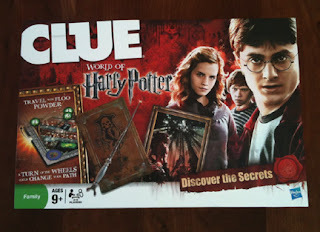 Precisely, I wouldn't be surprised if the Harry Potter saga continues into the future, through the imaginations of kids and adults who play the new game Clue: Harry Potter and the Deathly Hallows Edition Game from Hasbro. My kids (triplets, 14 and big brother, 15) are all huge Harry Potter fans, having read all 7 books and seen 7 of the 8 movies released. They're hoping to get to see the last film, which is actually based on the second half of Rowling's final book in the series this weekend. They also happen to own an excess of Harry Potter memorabilia already ranging from Pewter Bookmarks to an assortment of other things. So, when I told them that Hasbro was giving our family a rare opportunity to review this game ahead of the movie's release -- they simply couldn't believe their good fortune. From the minute UPS delivered the package from Hasbro's PR firm they couldn't wait to try it out. My youngest triplet (a boy) is indisputably the most devout Harry Potter fan in our household. So, it was he who got the honors of opening the box and setting every thing up for the family to play at the kitchen table. As my son knows first-hand, be forewarned that there are a lot of things to punch out of cardboard and assemble before you play this for the first time. In fact including all the cards, tokens, pieces, place marketers and dice, there are more than 100 parts that make up the game. So, if your kids are impatient (come on, what kid isn't? ), you may want to either set everything up for them before you call them over to play or at least tell them ahead of time what to expect before they tear into the box. That's because it takes about 30 minutes minimum for one able person to get the board and all the pieces ready for play. Reading the rules takes some thought and time to get through, too, but they are well-written to ensure that game play runs smoothly. Some additional thoughts. My most intelligent, articulate teen game assembler advises to take your time punching the different elements out and follow the directions for putting this together. These are easy to understand as long as you do exactly what they tell you. Pay particular attention when attaching the four spinners under the designated spots in the board because they look very similar, but each belongs in a specific location. "The assembly time required before you start is well worth the wait," my son said after everything was ready to go. "I think this board game is beyond cool. Particularly, I really like the spinners because they create the effect of being able to turn the fireplace 'on' and 'off' and make doors 'open' and 'close' when turning them." 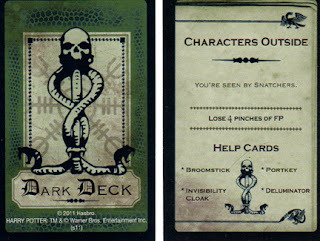 "Besides that," he continues, "the playing cards and pieces are really awesome as they're really colorful and creative. If you're as big a Harry Potter fan as I am, you'll recognize each of the characters on the game's identity cards which I think really brings the important people in the story to life. This certainly can stimulate your imagination and only add to the fun as you play this game." Clue: Harry Potter and the Deathly Hallows Edition Game by Hasbro carries a retail price of $24.99. 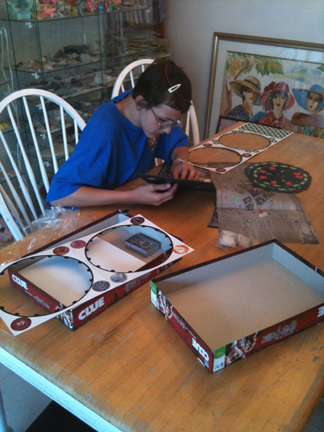 The board game is designed for ages 9+ and 3-5 players can play at a time. 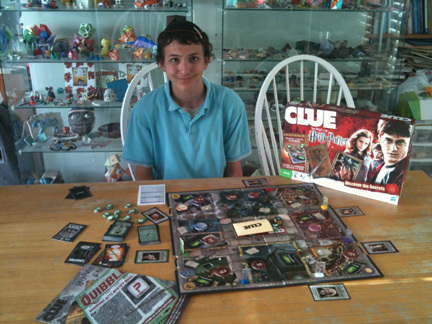 This is a special edition that is loosely based on the original and popular Clue game concept that has been enjoyed by multiple generations. Available at most major retailers nationwide, see the store locator for where to buy. Who's your favorite Harry Potter character and why? Which Harry Potter movie do you like the best? Looking forward to seeing everyone's picks! FTC Disclosure: As mentioned in this post, I received the game highlighted to facilitate this review. I did not receive any payment or other compensation associated with this post. See complete FTC Disclosure information that appears at the bottom of MommyBlogExpert's main page and at the bottom of every individual post on this blog, including this one.